The Messianic Age or Messianic Era is a subject of much speculation and discussion. This is a very sensitive issue to most people, and history has proven that it can be very volatile. We ask you to please keep an open mind, and our purpose is to educate you and your family as to what God has given us to learn from. The Mitzvah Project follows the explanations given by Maimonidies (Rambam) in the Mishnah Torah he wrote in about 1200 CE while he was living in Egypt. Rabbi Moshe ben Maimon (Rambam) had a very interesting life, and everyone should learn more about him. The Rambam wrote the Mishnah Torah (Explanation of the Teachings) in order to explain and clarify all the laws and practices that a Jew is obligated to fulfill or refrain from. After explaining every single one of the 613 Mitzvot in great detail, the last two chapters of the very last book deal with the Messiah. The book is called Hilchot Melachim U’milchamoteihem V’Hilchot Melech HaMoschiach. This means the Laws of Kings and their Wars, and the Laws of the Messianic King. We will share with you the highlights of these last two chapters, however you should always read things for yourself if you can. This last book of the Mishnah Torah also explains many of the mitzvahs that are the hardest to do, and that must be done communally. Some of the mitzvahs have to be done by the Jewish People as a whole. This is one of the reasons that the Children of Israel were counted by giving a half-shekel. Without each other we are only half of the whole, and we must live and work together peacefully and with respect. Performing mitzvahs is the way to connect with HaShem, and doing them should be fun. Many of these mitzvahs require strength and intelligence. We must use our resources in a positive way to finally do what has taken so long to accomplish. These mitzvahs include how to appoint a King and why we should do it, what kind of wars he and the nation must wage and how to wage them, and the responsibilities of the national government. The chapters explain how to settle the Land of Israel, where it’s borders are and where they will expand to. It talks about how we are to handle our relations with other nations, and our obligation to teach them the Seven Noachide Laws. According to Rambam, the Messianic Age will be a time when we will have the opportunity to fulfill all 613 Mitzvot. Our entire lives will revolve around the study and performance of the Torah (The Teachings) and Mitzvot (The Laws), and the knowledge of God will spread throughout the world “as the sea fills the ocean bed.” Rambam explains that a Jew who doesn’t desire and yearn for these goals is lacking the basic elements of faith. We know we are to observe the mitzvot, and everyone is to learn and obey them. This is for our own benefit, and a source of blessing for each other. The Sages throughout history didn’t care to exalt themselves or to be exalted. They were very humble and kind people, and they weren’t interested in eating, drinking, celebrating, or having dominion over the entire world. These great men and women of history only desired to be free from pressures and disturbances so they could be involved with the Torah and mitzvahs. They wanted to be free from subjugation and persecution from other kingdoms. The Messianic Age and the ability to observe all the mitzvot was something that they prayed for daily, just as observant Jews do today. Of course many righteous people of every faith are familiar with the idea of the Messianic Age. There are many explanations, and many opinions. The fundamental concept of World Peace and happiness is not for only a few. Education and desire are some of the keys to achieving this goal, and again we ask you to keep an open mind. The Rambam begins his explanation by saying “In the future the Messianic King will arise and renew the Davidic dynasty, returning it to its initial sovereignty. He will build the Temple and gather the dispersed of Israel. Then in his days the observance of all the statutes will return to their previous state. We will bring offerings and observe the Sabbatical and Jubilee years according to all the particulars mentioned by the Torah.” According to Rambam and other Sages the Messiah will “renew the Davidic dynasty”, meaning that he will bring the Jewish People to the ultimate level of observance and service to God. Subsequently the entire world will know HaShem, and we will all worship Him together in peace and harmony. Rambam states that belief in the Messiah is not enough, and a Jew’s faith is not complete unless he anxiously waits and prepares for him to come. In the Shemoneh Esrei or Amidah (the Standing or Silent Prayer), we state that God is our King, Helper, Savior, and Shield. We read that because of the kindnesses of the Patriarchs (and Matriarchs) God will bring a Redeemer to their children’s children, for His Name’s sake, with love. We know that HaShem is our real Savior, and that He loves us. The reason He will save us is because if He doesn’t it will be a desecration of His Name. This destined to happen before the end of 6000 years as we know them. The sooner we follow His will, the sooner He will save us. Rambam writes that “The identity of the Messiah will not be determined by miracles and wonders, but by his ability to lead the Jewish People to a more complete observance of the Torah and Mitzvot. He will then improve the entire world, motivating the people of every nation to serve God together.” Zephaniah 3:9 states “I will make the people pure of speech that they will all call upon the Name of God and serve him with one purpose.” Please see the section of The Mitzvah Project that deals with the different names of God. “The main thrust of this matter is that the Torah, its statutes and its laws, are everlasting. We may not add or subtract from them.” Rambam explains that “Anyone who adds or subtracts, or reveals false interpretations of the Torah to imply that the mitzvot are not to be understood simply is surely wicked and a non-believer.” The intent of this statement is to reject the concept that after the Messiah’s coming the observance of the mitzvot will be nullified and canceled. Isaiah 2:2 states that “In the final days, the mountain of God’s House will be established…and all the nations shall flow to it.” The Third Temple is a subject of much discussion, please see the section of The Mitzvah Project regarding this topic. We know that this is one of the big mitzvahs that the Messiah must accomplish, and we must understand the great benefits this will have on us and the entire world. Besides being a place where atonement can be made, and offerings can be brought, the Temple is a resting place for the Shechinah, or Divine Presence. The Shechinah resides in the Holy of Holies on top of the Golden Ark in its greatest concentration, however God’s Presence is everywhere to some degree. HaShem does not need a Holy Temple for a resting place for His glory, what He really wants is for His Shechinah to reside in our hearts. There has always been a discussion about the return of Elijah the Prophet, also known as Eliyahu HaNavi. Most of the controversy has to do with whether Elijah will return before, during, or after the coming of the Messiah. Most of the Sages agree that Elijah will motivate the nations to teshuvah. Teshuvah means repentance, and a return to His teachings and mitzvot. Elijah will help to establish peace in the World, and turn the hearts of the children and the hearts of their parents to HaShem. Our Sages of blessed memory explain that the main reason that the First and Second Temples were destroyed and the Jews were exiled was because of groundless or baseless hatred. This is when we hate others and treat each other badly for no reason at all. Rambam explains that when we stop this hatred the exile will end, and then the Messianic King will be able to lead the entire world to return to God and serve Him together with all their hearts and all their souls. Rambam comments that Moses conveyed a tradition that Elijah will help motivate people to the service of God, however he will not make any changes to the Torah. As we discussed before, the Torah and the 613 Mitzvot cannot be added to or subtracted from. Rambam’s opinion is that Elijah will come first, however he admits that this is not certain. He adds that the order of the events or the precise details about Elijah and the Messiah are not among the fundamental principles of our faith. 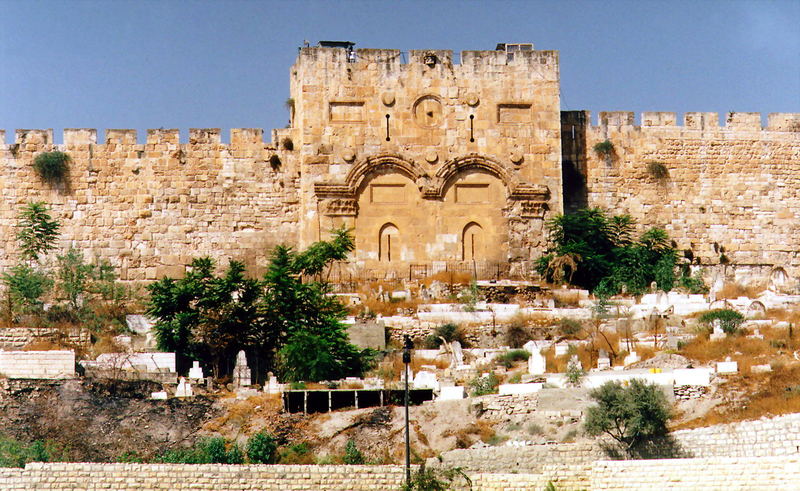 The Talmud (part of the Oral Law) states that “all the appointed times for the Messiah’s coming have passed, and the matter is dependent only on teshuvah.” According to Hilchot Teshuvah (the Laws of Repentance) 7:5: “When Israel repents, she will immediately be redeemed.” The point of the matter is that in the Messianic Age the entire world will be permeated by the knowledge of the existence of God. Rambam and other Great Rabbi’s explain that the awareness of God is a fundamental goal of human existence. Most of us have heard the prophesies of Isaiah and Jeremiah about the wolf lying down with the lamb, and the beating of swords into plowshares. While this is happening today, we know that we still have a long way to go. With the help of HaShem may we have World Peace immediately, now and forever. The Mishnah Torah clearly states: “One should not presume that the Messianic King must work miracles and wonders, bring about new creations within the world, resurrect the dead, or perform other similar deeds. This is definitely not true.” There are many opinions about how the Messianic Age will look. Some of the Great Rabbi’s feel that the nature of the world will return to the state that existed before Adam and Eve sinned in the Garden of Eden. Some of them say that there will be different stages during the Messianic Age. The first stage will be where there is no change in the natural order of the world, the second stage will be one marked by miracles. Rambam agrees with the latter opinion, and so do we. The Rambam counts the Resuscitation of the Dead as one of the Thirteen Principles of Faith. This is certainly a great miracle, and a definite departure from the order of nature as we know it. According to Rambam this will happen in the later stages of the Messianic Age. Despite the fact that physical pleasures will be available, we will not crave them. We will of course benefit from physical things we need to survive. However we will not attach any special importance to them, and we will consider them “as dust.” Isaiah 11:9 states: “The world will be filled with the knowledge of God as the sea fills the ocean bed.” The Rambam explains that the ocean contains a vast host of living creatures and organisms, however the waters cover them so that we can’t see them. In the Messianic Age, these hidden truths will be revealed. The world will continue to exist, and every element of our existence and thought will be permeated by the knowledge of God. We will be able to do all 613 Mitzvot, and we will enjoy doing them. The presence of the Shechinah will dwell upon us all, and the wicked ones will see the error in their ways and repent. According to Rambam, “If the Messianic King does not accomplish all of these things, he is surely not the redeemer promised by the Torah. He should be considered as all the other proper and complete kings of the Davidic dynasty who died.” Proof of this is pointed out from the fact that Rabbi Akiva was a supporter of King Bar Kozibah, also known as Bar Kochbah. King Shimon Bar Kozibah proclaimed himself the Messiah in the days of the writing of the Mishnah. He led a revolt against the Romans who controlled Eretz Yisrael at that time. At first he was successful, however gradually the Romans recaptured the Land. Bar Kochbah and his men became isolated in the city of Betar. On Tisha B’Av Betar fell to the Romans, and hundreds of thousands were killed. There have been other self-styled false Messiahs like Sabbatai Zvi and Jacob Frank, who also caused problems for the Jews. They did not follow the Torah and Mitzvot properly, and they did not succeed in accomplishing what must be done in order to be the Messiah. The big question is how will all this come about? According to Rambam the entire world has already become filled with the mention of the Messiah, the Torah, and the Mitzvot. The coming of a Messiah is a fundamental element of Islamic and Christian thought. Rambam writes that some Christians feel that the mitzvot are true, but that they have been superseded and are not applicable for all time. He also explains that some Moslems feel that the mitzvot contained hidden truths, and that their Messiah (Mohammed) has already come and revealed those hidden truths. According to Rambam when the true Messianic King will arise and prove successful, they will all realize and agree that they were wrong. Shalom and may He continue to shower all the righteous people of the world with billions of blessings, now and forever, Amen.